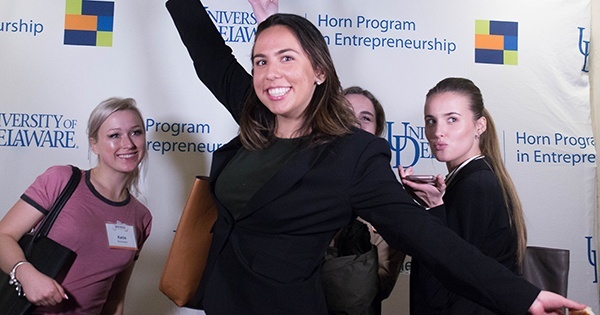 Hen Hatch, University of Delaware Horn Entrepreneurship’s premier startup competition, returns in spring 2018 to provide students, alumni, faculty and staff an excellent opportunity to pursue and improve their business ideas. Outside of being a fantastic opportunity to pitch your ideas, Hen Hatch provides five amazing and phenomenal benefits that everyone can take advantage of, win, lose or draw! 1. Meet some cool new people! Who couldn’t use a couple extra friends, am I right? But seriously, as Adam Stager, founder of TRIC Robotics, said: “The students around the program were amazing to collaborate and connect with. Reaching out and working with them really helps you shape your ideas.” Grow your network, improve your ideas AND get a chance to stop belting XO TOUR Llif3 in the shower? Sign me up! 3. Experience support and preparation for future business ventures, even Hen Hatch again! What more is there to say really? You’re obviously dead set on your idea and you’ve kicked it around your family for years and now Hen Hatch is the perfect, trusting, supporting push you need to make your idea a reality, and have a great time doing it! Do I really need a testimonial to back this point up? Sign up for Hen Hatch and skip the regret! View an archived live stream of the Q&A workshop on Facebook. The deadline for submission is Jan. 22.